Once you've created your City72 site, the next step is to create awareness of your city's new preparedness platform. 1. Create a culture of preparedness. City72 is about establishing new norms and making preparedness a part of citywide conversation. It presents an optimistic, accessible starting point for individual and community participation in emergency preparedness. To do: Contextualize preparedness as a part of your city's culture. 2. Prompt tangible behavior change through simple steps. Preparedness is about simple steps: sharing available resources, connecting to your network, making a plan. City72 offers prompts and tools that offer easy, actionable ways for residents to do a little bit at a time—so getting prepared isn't overwhelming. It's about gathering supplies you probably have around the house rather than spending money on a pre-made kit, and about talking about a simple plan. To do: Build awareness of simple, tactical steps that help people get prepared. City72's target audience is people who are NOT currently engaged in preparedness. It is specifically designed to reach residents who haven't yet tuned into how to get prepared for emergencies. See Background for more information on the research that went into the design of City72. Establish partnerships with digital social networks or start groups or hashtage on platforms such as Facebook, Twitter, and Instagram to spread the word about your City72 site and outreach activities digitally. Share messages that are short, catchy, and relevant to your resident's mindsets and needs. Preparedness tips in contexts (e.g. hardware store, grocery store) where people can act upon the tips—e.g. at the gas pump or at the ATM. Get the word out about your City72 site with the government agencies you collaborate with, from the fire department to the public utilities—so they can add messaging about your new platform in their mailings, etc. Talk to your PIO to help spread the word too. Organizations focused on getting people prepared (such as the American Red Cross), and that bring residents together (such as Neighborhood coalitions) are also excellent partners to spread the word about City72. Socialize the tips and tools from your City72 site offline as well as online. Get creative with marketing materials—and think about formats that people will use and will refer back to. 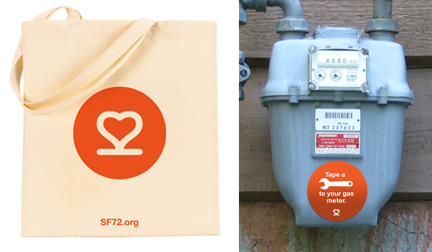 Download SF72's print-ready templates as a starting point for your own designers.